Since its foundation in 1969, The Wetlands Institute has actively engaged in a wide variety of research projects pertaining to the habitats, processes, and wildlife of the local barrier beach and wetland ecosystems. Each summer, The Wetlands Institute runs the Coastal Conservation Research Program (CCRP), which provides 5-10 student interns mentoring and supervised research opportunities with experienced research scientists. Over the past 20 years, students from nearly 200 academic institutions throughout the United States and abroad have participated in the CCRP. Additionally, visiting researchers, graduate students, and course instructors from academic institutions and agencies around the United States join our staff to take advantage of our facilities and surrounding ecosystems for research and educational opportunities. 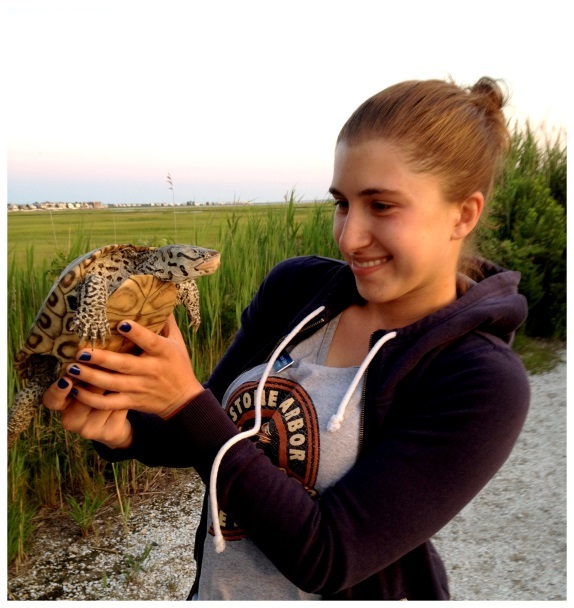 For over 20 years the Terrapin Conservation Program has promoted the conservation of Diamondback Terrapins in southern New Jersey through applied research, citizen science projects, and formal and informal educational programs. Research activities focus on assessing the impacts human activities to the local terrapin population and the application and development of novel methods to reduce impacts. Ongoing approaches for studying the local terrapin population include the use of mark, recapture, and release techniques, the application of sonar telemetry technology, and observational studies of life history, reproduction, and ecosystem dynamics. The Wetlands Institute provides environmental education programs for children and families throughout the year. Learn more about the Institute and plan a visit in the spring of 2018!